Marian Pierre-Louis, host of the Genealogy Professional podcast, will be hosting a FREE live webinar on Friday, April 4, 2014 at 2:00pm EDT. The topic is: "Finding Your Genealogy Niche"
Are you a genealogy generalist who hasn’t found a specialty area or niche? A niche can help differentiate your business from other professionals but sometimes finding a niche can be a challenge. This webinar will take you through important criteria that will help you move forward in the best direction. If you need help finding your niche and would like to be featured in the webinar, please send an email through the contact form and explain where you live, what you think you would specialize in and anything that is giving you trouble in making the decision. I look forward to hearing from you! The webinar will include a Q&A session at the end. The webinar will not be available as a replay. However, it will be available for purchase afterward as a digital download. Learn how savvy genealogists are finding success with 7 basic habits of frugality. In this webinar, presented by Thomas MacEntee, you’ll not only find a list of key resources but more importantly you’ll learn how to embrace the “mind set” of finding the best ways to save money while researching your ancestors. Join us for the live webinar Wednesday, April 2, 2014 at 2pm Eastern U.S. Register today to reserve your virtual seat. Registration is free but space is limited to the first 1,000 people to join that day. Before joining, please visit www.java.com to ensure you have the latest version of Java which our webinar software requires. When you join, if you receive a message that the webinar is full, you know we've reached the 1,000 limit, so we invite you to view the recording which should be published to the webinar archives within an hour or two of the event's conclusion. In preparation for the webinar, download Thomas' 4 pages of supplemental syllabus materials here. The syllabus is available for annual or monthly webinar subscribers. Log in here or subscribe here. Watch Thomas' previous webinars here. 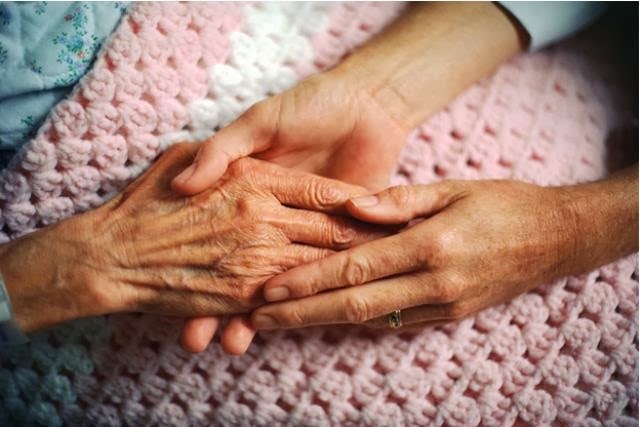 On Thursday, March 20, 2014, at 7:30 pm Central (8:30 pm Eastern), Saving Memories Forever will present a free webinar, Celebrating a Life: Keeping Life Stories Sharable and Organized. Click here to register. For many of us, eventually we’ll be tasked with cleaning out the family home. Learn various ways to approach cleanup projects and tips for preserving valuable family history. Find out how you can, in fact, create an organized living legacy that’s both rich and rewarding. The webinar will be presented by one of the leading presenters of genealogy and family history webinars: Thomas MacEntee. Thomas is the founder of GeneaBloggers, a community of over 3,000 family history bloggers around the world, and a nationally-known genealogy professional, author, speaker and educator. Pleasant presenter with vital information. Every genealogist, professional as well as amateur, should see this broadcast! One of the most informative sessions to date. The Top 50 List should provide hours/days of good searching. WOW! This webinar was great! Of course, any genealogist/family historian would be excited to get this info. Even if you have your own carefully culled "Top 50" list, there are always sites you haven't tried or that have improved. If you could not make it to the live event or just want to watch it again, the 1 hour 31 minute recording of "50 Most Popular Genealogy Websites" is now available to view in our webinar archives for free for a limited time. It is also available to our monthly or annual Webinar Members for the duration of your membership. Visit www.FamilyTreeWebinars.com to watch. Its 5 pages of handouts are also available for annual or monthly webinar subscribers. The special discount coupon of top50 that was announced during the webinar is valid for 10% off anything at both www.LegacyFamilyTreeStore.com and www.FamilyTreeWebinars.com through Monday, March 24, 2014. Join us on Tuesday, April 8, at 8:00 PM Central, where Kathryn Lake Hogan will present Using Canadian Records to Find Your Midwestern Ancestor. To attend this webinar, register at https://attendee.gotowebinar.com/register/5139560805000800257. Last week's webinar, Going Nuclear: DNA Discoveries to Trace All Lines of Descent, presented by Debbie Parker Wayne, is now available to ISGS members in the Members Section of the ISGS website (http://ilgensoc.org/members.php). It was fascinating the number of little known resources that could yield so many gems of information. Excellent webinar. Thanks. The webinar was great; the presenter and the information that she covered is so valuable. I learn/gain so much knowledge about the associated practices/processes of genealogy research each week from the webinars. Thanks Legacy Family Tree! If you could not make it to the live event or just want to watch it again, the 1 hour 30 minute recording of "Some Lesser Known Irish Resources" is now available to view in our webinar archives for free for a limited time. It is also available to our monthly or annual Webinar Members for the duration of your membership. Visit www.FamilyTreeWebinars.com to watch. Its 2 pages of handouts are also available for annual or monthly webinar subscribers. The special discount coupon of ireland4 that was announced during the webinar is valid for 10% off anything at both www.LegacyFamilyTreeStore.com and www.FamilyTreeWebinars.com through Monday, March 17, 2014. Judy is also the author of our Legacy QuickGuide on Irish Genealogy. Click here for more information or to purchase. Webinar Description: “Find-a-Grave” may be an overlooked and under appreciated resource for basic on-line genealogical research. Find-a-grave volunteer, and WSGS president, Vickie Schnitzler, will share information about the organization, website and how to search the more than 111 million graves already posted. She will also share how Find-a-Grave can possibly help you with your genealogical research. Webinar Description: Those pesky tic marks seem to get in our way as we work to extend our pedigrees. Just what do they mean, and how can they help me? Webinar Description: Confused by the naming patterns in Norwegian genealogy? This class will help to clear up some of the mysteries associated with this ethnic group. Topics to be discussed include naming patterns, using Norwegian and Norwegian American church records, relationship of church and state in Norway, websites of value for doing Norwegian and Norwegian American research and migration patterns. Webinar Description: When Google and traditional search engines don't return useful information, don't stop there. We will explore resources that are invisible to Google and hidden deep within web sites and proprietary databases. The "hidden web" lies buried within the collections for commercial web sites, libraries, archives, and museums. We will also talk about the importance of indexes that deep-link into web sites online, thus uncovering hidden gems of information that may not be found easily through a search engine query. All live webinars are free. Archived webinars are available to members only. Webinar Description: WWI registration cards contain valuable imbedded pieces of information that can become leads in solving some genealogical roadblocks for researchers. Identify relatives and potential friends, establish familial relationships, locate previously unknown migration locations, and more! Webinar Description: Before you buy your ticket to Ireland you need to look at the roots your ancestor planted in America. Focusing on U.S. resources can give you a real passport to finding your way to the right place and time in Ireland. Webinar Description: Researching one’s ancestors from German-speaking Europe comes with many challenges. The quality and availability of resources may differ greatly, depending on an immigrant’s place of origin, time of departure, and more. The investigation is further complicated by the fact that documents—including many created in America—were not only written in German, but also in a script that even native speakers cannot easily read today. This webinar will offer suggestions on how to use German-American resources in genealogy, including those available at the Max Kade Institute. Webinar Description: DNA is not as difficult to understand as you might think! Whether you are having trouble spelling DNA or you are an old hand at genetic genealogy, this talk is for you! Understanding your DNA results, connecting with long lost cousins, and gaining insight into family history through DNA has become easier than ever. And what if your DNA is different from the rest of the members of your family? Should you hide under the bed? Refuse all incoming phone calls? No! You have a terrific opportunity to discover the interesting family history if your DNA doesn't match anyone else's. In this talk, you will learn the basics of DNA, how to ‘do’ genetic genealogy, and what you can derive from your DNA results. Colleen explains how DNA can be combined with paper genealogy to provide a more powerful toolbox for solving genealogical mysteries. Colleen also gives success stories in tracing otherwise lost family history-unexpectedly connecting a group to a geographical region and to historical evebnts occurring there. This talk on DNA is very different from others you might have heard. No matter what level of understanding you have about genetic genealogy, this talk is for you! All live webinars are free. After that access is restricted to members. 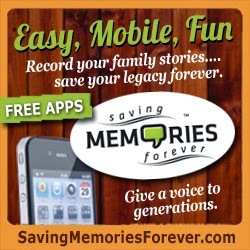 First, you'll learn how to use the Saving Memories Forever app. Then you'll learn the basics of how to manage your recorded story on the Saving Memories Forever website. This "managing" includes sharing your recorded stories with your family, using the easy "search" feature and attaching photos. You'll see how saving your stories on the website keeps the stories safe and easily sharable. By the end of the workshop, you'll be comfortable with the system and ready to get started recording and sharing your family's stories and oral history the same day! We'll also be selecting the name of one attendee during the webinar who'll receive a $25 Amazon Gift Card! If you have Irish roots, be sure to join us this Wednesday for a free webinar with our Irish research specialist, Judith Eccles Wight. She will present "Some Lesser Known Irish Resources." This webinar is an overview of some lesser known Irish resources that may provide additional information about your Irish ancestors. Some of the sources that will be discussed include school records, taxation sources and court records. Join us for the live webinar Wednesday, March 12, 2014 at 2pm Eastern U.S. Register today to reserve your virtual seat. Registration is free but space is limited to the first 1,000 people to join that day. Before joining, please visit www.java.com to ensure you have the latest version of Java which our webinar software requires. When you join, if you receive a message that the webinar is full, you know we've reached the 1,000 limit, so we invite you to view the recording which should be published to the webinar archives within an hour or two of the event's conclusion.